A new study, published February 2 in The Astrophysical Journal Letters, gives the first evidence that more than a trillion exoplanets could exist beyond the Milky Way. Using information from NASA's Chandra X-ray Observatory and a planet detection technique called microlensing to study a distant quasar galaxy, scientists at the University of Oklahoma found evidence that there are approximately 2,000 extragalactic planets for every one star beyond the Milky Way. 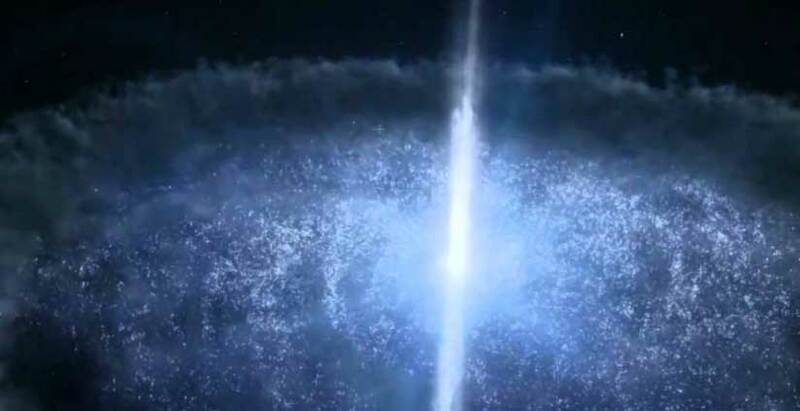 Quasar galaxies are distant objects powered by black holes a billion times as massive as our sun. "We can estimate that the number of planets in this distant galaxy is more than a trillion," says Xinyu Dai, the astronomy and astrophysics professor who led the study. Some of these exoplanets are small exo moons, while others are as massive gas giants like Jupiter. Unlike Earth, most of the exoplanets are rogue objects, not tightly bound to stars, wandering through space or loosely orbiting between stars. Since these objects are so distant—the extragalactic bodies are some 3.8 billion light years away—microlensing is the only way to get a sense of their shape. The researchers know they're looking at planets because of the speed at which they're moving. "You can have this effect with stars, but it would be much, much less likely. It would be way less frequent," Guerras says. "If you have only one planet, the chances of observing it twice is astronomically small. These stars are really far away. There's no way you can observe them by any [traditional] means," Guerras says.